The webinar will provide an overview the new goal targets and review strategies and resources to help members achieve the NCAL Quality Initiative goals. 90% or more residents and/ or family members are satisfied with their experience. 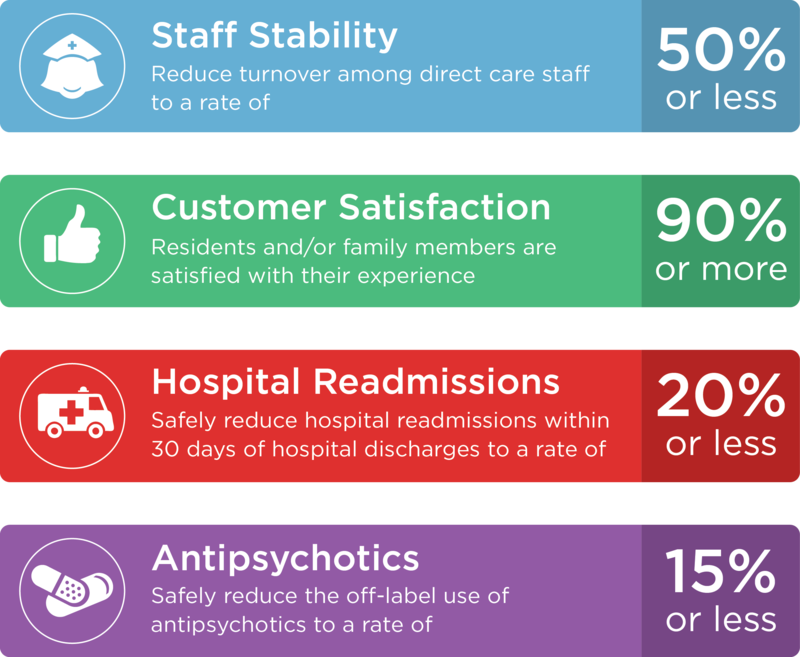 Safely reduce hospital readmissions within 30 days of hospital discharges to a rate of 20% or less. Safely reduce the off-label use of antipsychotics to a rate of 15% or less. Reduce turnover among direct care staff to a rate of 50% of less.